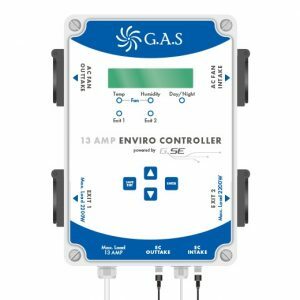 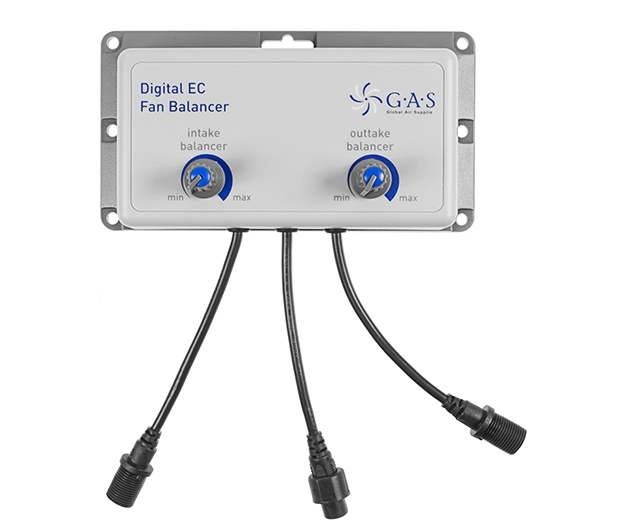 The GAS EC fan balancer gives you the ability to fine tune Systemair EC fans. 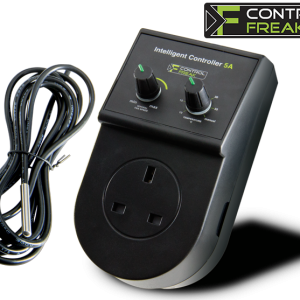 You can control maximum fan speeds of both intake and exhaust fans with the balancer. 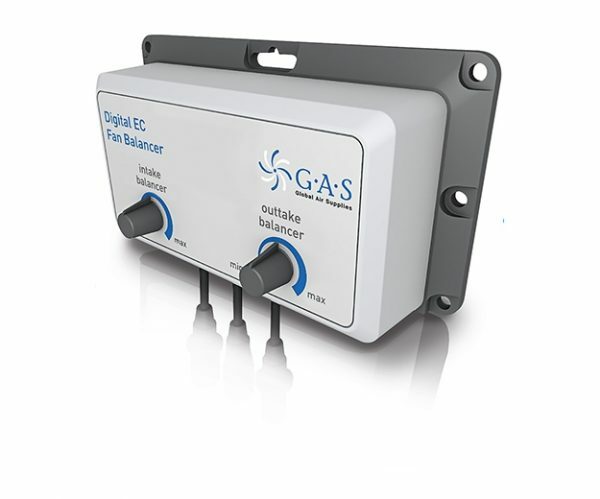 Precision control of the negative pressure within your room is simple with the balancer. 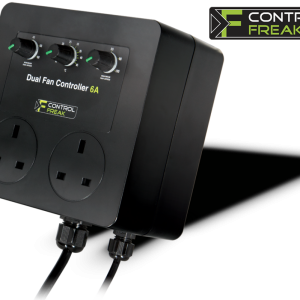 Always set the outtake fan higher than the intake fan to stop positive pressure ever occurring in your grow room environment. 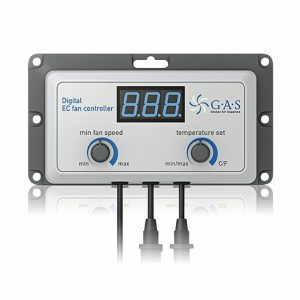 Designed in Germany to work with our EC fan controller.